In 2018, we were proud to endorse and support 19 extraordinary House and Senate candidates who share our commitment to strong, principled American foreign policy. Of that group, 11 won their races and serve today in Congress. Learn more about these leaders by visiting their websites. Rep. Salud Carbajal, who immigrated from Mexico as a young child, is a freshman member of Congress. 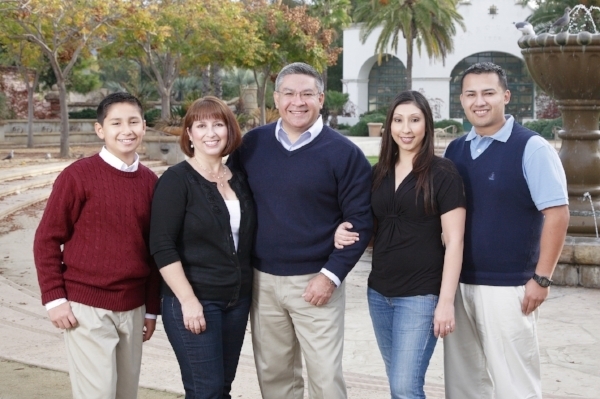 Before entering Congress, he served in the U.S. Marine Corps Reserve for eight years, including active duty service in North Carolina during the Gulf War, and as Santa Barbara County’s first district supervisor for 12 years. Carbajal sits on the Armed Services and Budget committees. Jason Crow enlisted in the National Guard and served three combat tours in Iraq and Afghanistan, attaining the rank of Captain, and was awarded a Bronze Star. He sat on the Colorado Board of Veterans’ Affairs where he made positive changes to the epidemics of veteran homelessness and substance abuse. Currently, Crow is an attorney specializing, in part, in business compliance and helping small and large businesses grow. He has advised state and federal officials on national security, military, and veterans issues. Tim Kaine has been a U.S. senator from Virginia since 2013, and serves on the Armed Services Committee and the Foreign Relations Committee. Together with John McCain, Kaine led a bipartisan effort to defeat proposed cuts to foreign aid and the State Department, and is a leading advocate for diplomacy first foreign policy in the Senate. In 2016, he was the Democratic vice presidential candidate, and from 2006 to 2010 he served as Governor of Virginia. Andy Kim is a career public servant. He most recently served at the White House as the Director of Iraq in the National Security Council where he coordinated the crisis response to counter the rise of ISIS. Prior to his time at the White House, Kim served in Afghanistan as Strategic Advisor to Generals David Petraeus and John Allen, and also worked at the State Department, the Pentagon, USAID, and the Senate Foreign Relations Committee. As a Rhodes Scholar and a Truman Scholar, Kim received his Doctorate in International Relations from the University of Oxford. 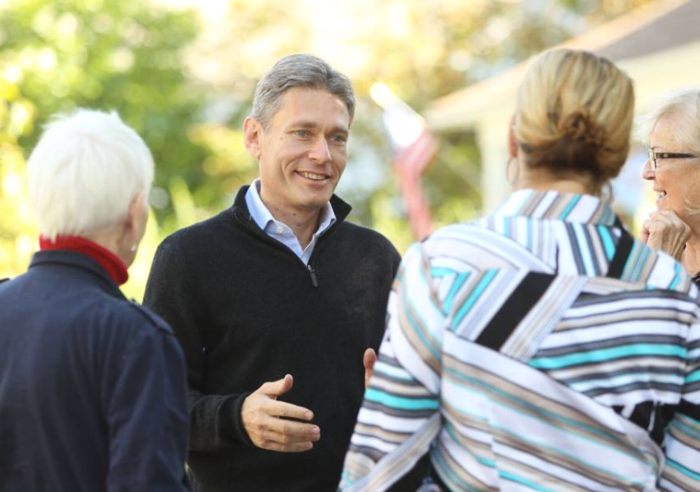 Tom Malinowski has spent his life in public service. As an Assistant Secretary of State under President Obama, he fought to protect America by defending our values of liberty, equality, and rule of law around the world. On President Clinton’s National Security Council, Malinowski worked to strengthen NATO and end conflicts around the world. As Washington Director of Human Rights Watch, he helped lead a bipartisan effort to stop the use of torture so we could stay safe from terrorism without losing sight of who we are as Americans. Joe Neguse served as the Executive Director of Colorado's Department of Regulatory Agencies, overseeing a $90 million budget. He also co-founded New Era Colorado, a nonprofit dedicated to youth voter engagement which also led the fight locally against climate change. He is an attorney and served on Colorado University’s Board of Regents. Rep. Jacky Rosen has lived in Nevada for nearly 40 years, and as Congresswoman for Nevada's 3rd district, she currently serves on the House Armed Services Committee. In this capacity, she has championed efforts to deter Russian aggression and strengthen American defenses against cyberattacks. Prior to politics, she worked as a computer programmer, software developer, and designer for some of the biggest companies in Nevada. Mikie Sherrill served as a Navy helicopter pilot from 1994 to 2003, flying missions throughout Europe and the Middle East. She worked on the Battle Watch Floor in the European Theater during the Iraq invasion, and served as a Flag Aide to the Deputy Commander of the U.S. Atlantic Fleet. Sherrill also served as a Russian policy officer and worked on the implementation of nuclear treaty obligations and oversaw the relationship between the U.S. Navy and Russian Federation Navy. 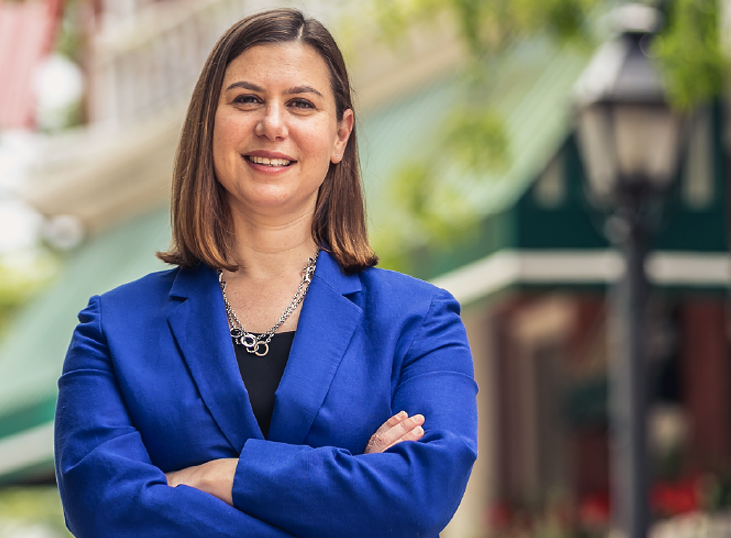 After leaving the Navy in 2003, Sherrill attended law school, earning a degree from Georgetown University. She worked in private practice and eventually joined the U.S. Attorney’s Office in New Jersey. Elissa Slotkin, a third-generation Michigander, spent her early life on a beef cattle farm in Holly. She began her national security career in 2003 as an analyst in the CIA, where she served three tours in Iraq. Slotkin also worked for the Director of National Intelligence, the White House National Security Council, and the State Department before joining the Department of Defense in 2011. Slotkin concluded her Pentagon career as an acting Assistant Secretary of Defense for International Security Affairs, where she was the principal advisor to the Secretary of Defense on strategy and policy related to NATO, Russia, the Middle East, Africa, and the Western Hemisphere. Abigail Spanberger served as a CIA operations officer from 2006 to 2014, traveling and living abroad collecting intelligence, managing assets, and overseeing high-profile programs in service to the United States. Prior to this, she worked as a federal law enforcement officer working narcotics and money laundering cases with the US Postal Inspection Service. After leaving government service, Spanberger worked at EAB – Royall & Company, helping colleges and universities to create diverse student bodies, increase graduation rates, and break down financial barriers to higher education. Rashida Tlaib served in the Michigan House of Representatives representing Michigan’s 6th District from 2009 to 2014, where she became the first Muslim American woman to serve in the Michigan Legislature and only the second Muslim American woman to serve in an American state legislature. Born and raised in Detroit to Palestinian immigrants, she has worked for environmental justice in Michigan throughout her career as a lawyer and activist, most recently as a people’s lawyer at the Sugar Law Center for Economic and Social Justice.